Lucasfilm announced earlier this year the Age of series of comic books, with each arc depicting various time frames in the Star Wars saga. 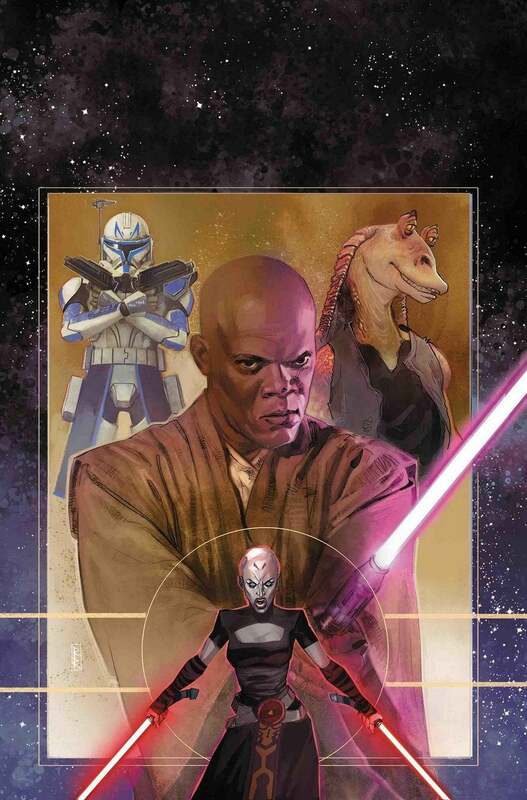 Also coming from Marvel Comics will be Star Wars: Age of Republic Special #1, compiling multiple short adventures, including one focusing on Jar Jar Binks. The comic will be hitting shelves next year, with 2019 marking the 20th anniversary of Jar Jar's debut in Star Wars: The Phantom Menace. Almost immediately after the character debuted, Star Wars fans ridiculed him for being far sillier than many other aspects of the saga. His role was smaller and smaller with each subsequent appearance, potentially as a response to fans' dislike of the character. As the years went by, the character arguably became the one thing fans could unite on in regards to what was most disliked about the prequels. In last year's novel Star Wars Aftermath: Empire's End, fans learned that, in the wake of the prequels, Jar Jar had been reduced to a lowly street performer after aiding in the creation of the Galactic Empire. Earlier this year, actor Ahmed Best revealed that the backlash he received for playing Jar Jar led him to contemplate suicide, which then resulted in an uprising of fans who shared their support of not just the actor, but also for the character he played. Hopefully this new comic book can remind fans what makes the character a welcome addition to the galaxy far, far away. Will you be picking up this comic? Let us know in the comments below or hit up @TheWolfman on Twitter to talk all things Star Wars and horror!